Ronald is a metals analyst at Erste Group. 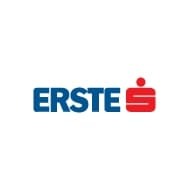 Erste Group is the leading financial provider in the Eastern EU. More than 50,000 employees serve 17.4 million clients in 3,200 branches in 8 countries (Austria, Czech Republic, Slovakia, Romania, Hungary, Croatia, Serbia, Ukraine). As of 31 December 2010 Erste Group has reached EUR 205.9 billion in total assets, a net profit of EUR 1,015.4 million and cost-income-ratio of 48.9%. Power Struggles at the Persian Gulf - is Another Gulf War Imminent? Oil Price - Always and Everywhere a Monetary Phenomenon? Petrodollar Exiting Through the Back Door? Does the Skyscraper Index Signal a Weaker Oil Price?